EMINENT Nigerians, including President Muhammadu Buhari, Vice President Yemi Osinbajo and governor of the Central Bank of Nigeria, CBN, Mr. Godwin Emefiele, on Monday, commended the founder and Chairman of Zenith Bank, Mr Jim Ovia, for his contributions to entrepreneurship in Nigeria. They also described him as a gifted, innovative and the godfather of banking technology in Nigeria. They said this at the public presentation and launch of Ovia’s book titled: ‘Africa: Arise and Shine’, in Lagos. The book launch attracted dignitaries including Governor Akinwunmi Ambode of Lagos State, Governor Ifeanyi Okowa of Delta State, Governor Udom Emmanuel of Akwa Ibom State, Governor Kashim Shettima of Borno, Governor Darius Ishaku of Taraba State, Governor Ibrahim Dankwambo of Gombe State, Governor Yahaya Bello of Kogi State; former United Nations Secretary General, Emeka Anyaoku and Oba of Lagos, Oba Rilwan Akiolu. Others are former governor of Lagos State, Asiwaju Bola Tinubu; former governor of Anambra State, Mr. Peter Obi; founder of Akintola William Deloitte, Chief Akintola Williams; Alhaji Aliko Dangote, President Dangote Group, represented by his daughter, Alima Dangote; Dr. Christopher Kolade, publisher of Vanguard Newspapers, Mr. Sam Amuka-Pemu; publisher of Thisday Newspaper, Nduka Obaigbena; Chairman/CEO, Channels Television, John Momoh; founder, Heirs Holding, Tony Elumelu; former President of the Nigerian Stock Exchange, Aigboje Aig-Imoukhuede; former Vice Chancellor, University of Lagos, Prof Ibidapo Obe, among others. 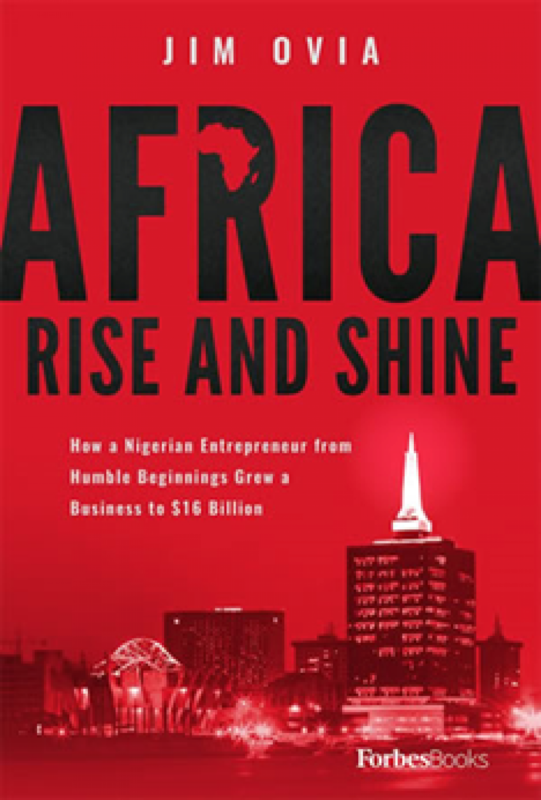 In a brief presentation, the author and Zenith Bank chairman explained that the narrative of Africa being a pathetic continent and regarded as a dark continent inspired the title of the book. He said he has been called upon to write more and most especially a new memoir in continuation of the book. Jim Ovia narrated how he started the business with N20 million ($4 million) at an exchange rate of N5 to a dollar. He said the bank now has a total asset base of $16 billion.